On the following pictures can be seen the location of LPC4350 Demoboard components. 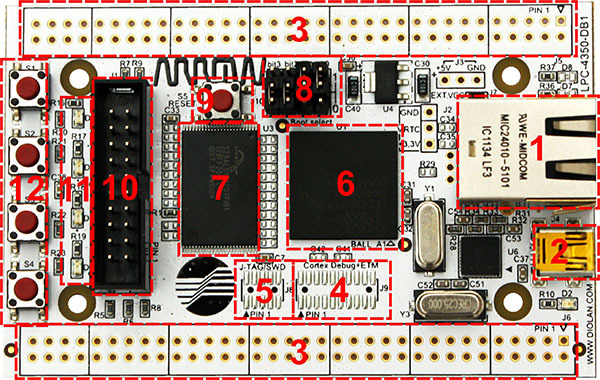 Board dimensions - 60x94 mm. Soldering place for additional memory chip (from back side).